Hydration, hydration, hydration… Many believe it’s the number one rule of wellness. On a very basic level, we need water to survive (our bodies are made up of 60% water, it’s in our cells, in our blood, in our brain and spinal fluids) – but it’s only once you get into the habit of making a conscious effort to stay well hydrated that you truly realise the difference it can make. Scientifically, opinions can be mixed as to whether we really do “need” at least six to eight daily glasses of straight-up H2O (more if you’re exercising/in a hot place), the amount so often bandied by nutritionists and wellness and lifestyle gurus, to reap the benefits. Back in 2011, for example, Glasgow GP Dr Margaret McCartney published an article in the BMJ on how stating there is not actually strong evidence that we really need to drink this much, while according to the Tea Advisory Panel, recent studies have suggested that drinking tea can tick those hydration boxes just as well (those dehydrating diuretic effects might not be such a concern after all). Foods contain water too, and then there are all the other liquids we consume. 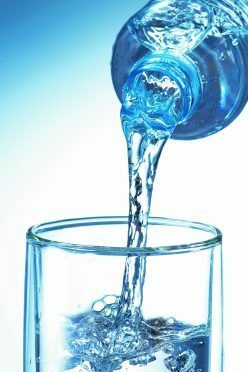 So if you really just don’t like plain water, and rely more on other types of drinks, then no, chances are, you’re not going to perish as a result and your body will keep functioning – but millions of water-glugging-devotees will still think you’re missing a trick. Sometimes it’s not about scientific evidence; it’s about how you feel. Getting our water quota means fewer headaches, a clearer and more alert mind, perkier energy levels, not to mention brighter, healthier-looking skin. For beauty and wellbeing entrepreneur Liz Earle, drinking water is as essential a part of skincare as the products you put on. – and she should know, as co-founder of one of Britain’s biggest independent beauty brands. “Don’t forget that skincare starts from within,” she reiterates. If her own radiant complexion is anything to go by – she’s a mother-of-five and in her 50s – it’s advice worth listening to. But For Earle, beauty and overall health and wellbeing have always been intrinsically linked, in that they’re things that exist together, and deserve to be nurtured and cared for together. It’s a philosophy she extends to the environment too: “Communicating issues about wellbeing is something I do every day, and I believe that protecting the environment is fundamental to the wellbeing of all of us in the UK,” she says. Unfortunately, staying topped up with H2O and being kind to the planet don’t always go hand in hand. Despite the fact our tap water is safe to drink, according to new research on behalf of BRITA, UK adults will get through 7.7billion single-use plastic water bottles a year. And it’s not just when we’re out and about: nearly a third (30%) admit to using bottled water at home too, and 22% of four to 18-year-olds drink mainly bottled water. healthy hydration messages are trickling through, but it’s not great news for the environment – even if the bottles you choose are recyclable. The BRITA figures reveal 32% of us don’t believe our bottled water habits contribute to pollution because we recycle. However, the Marine Conservation Society (MCS), which BRITA has partnered with on a campaign, explains that it’s not always that simple. “It takes 162g of oil and seven litres of water to manufacture a single one-litre disposable PET bottle, which amounts to the release of 100g of carbon dioxide (CO2), a major greenhouse gas. This means single-use plastic bottles significantly contribute to pollution, even if they are subsequently recycled,” says Dr Sue Kinsey, senior pollution policy officer at the Marine Conservation Society. Plus, they aren’t all recycled. More than 5billion plastic bottles a year end up as litter or in landfill, notes Richard McIlwain, deputy chief executive of Keep Britain Tidy, and some end up in our oceans, where they’re “a menace to wildlife, particularly as they start to break down”, says Kinsey. “They add to the microplastic load of the oceans and can be eaten by animals at all stages of the food chain,” adds Kinsey. With harnessing the power of nature at the heart of her brand ethos, and having grown up with a long-lasting love for and fascination with the sea(“My father was in the Navy, and I’d always lived near the sea”), Earle is passionate about encouraging everybody to do their bit to help protect our oceans, and promote our own healthy habits in the meantime. Switching to tap water is also, of course, far cheaper, and if you don’t like the idea of drinking straight from the tap, BRITA products make it simple to filter water, whether to keep in a jug in the fridge, or take out and about in a reusable bottle. “I’ve always used a BRITA water filter; I was probably an early adopter,” says Earle. The European Food Safety Authority (EFSA) recommends an intake of 2.5 litres of water for men and 2 litres of water for women per day, via food and drink consumption. Of this, they suggest that 70-80% of the daily water intake should come from drinks, and the remaining 20-30% should come from food. The British Nutrition Foundation gives guidelines for the types of fluid to drink, and water is the only fluid which they recommend drinking “plenty” of as it contains no sugar, calories or additives. According to the National Hydration Council website – DEFRA’s Sustainability Road Map for Soft Drinks has shown that bottled water is the lowest impact packaged drink in the soft drinks sector. All packaging used by the bottled water industry is 100% recyclable and packaging weights have been reduced dramatically in recent years. Water UK represents all major statutory water and wastewater service providers. 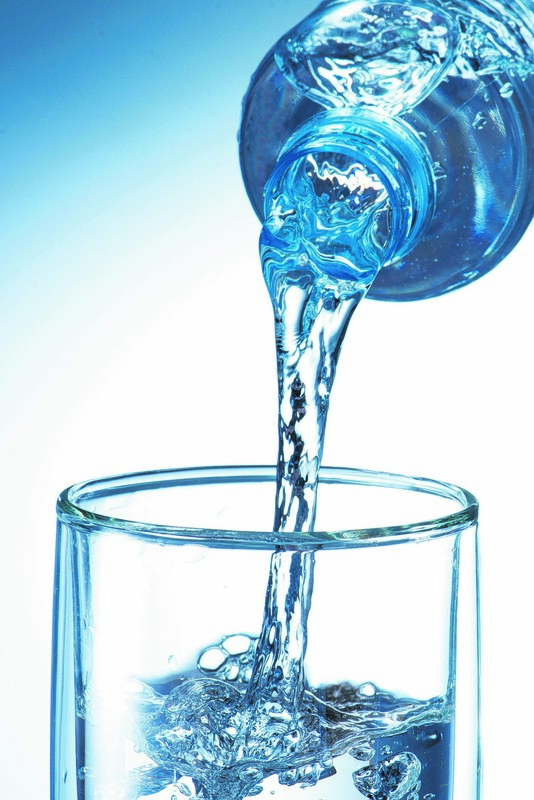 It states that tap water can come from a wide range of sources and is chemically treated. It needs to contain chlorine, so it can travel safely from the water treatment works to the tap. Pharmaceutical residues may be found in very low quantities in water used as sources for drinking water mainly after being excreted by patients taking prescribed and non-prescribed medicines. Everyone agrees water is essential for health and forms the basis of all reactions in the body. Everyone agrees we should recycle and reduce waste to preserve the environment. If individual people acted more responsibly and recycled, we would not have the levels of pollution and waste in the world today. Deeside Mineral Water is one of the purest waters in the world, flowing naturally from an ancient spring in the Cairngorms National Park, a protected area of outstanding natural beauty. Only Deeside Mineral Water has been clinically proven to protect and nourish living cells in many human and laboratory studies. It is a living water with active properties that enhance vitality and well-being. 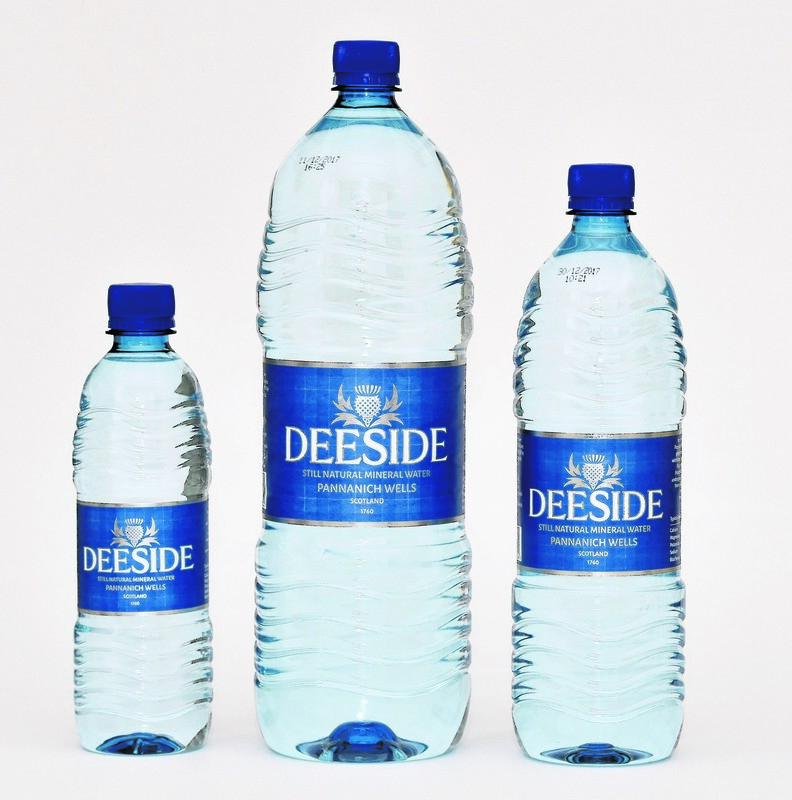 Deeside Water has been clinically proven to act like an anti-oxidant and has anti-inflammatory qualities, reducing inflammation in the joints. It has been proven to increase skin hydration by 23% and reduce wrinkles by 17% after a clinical trial with participants drinking only 1 litre per day for 12 weeks. Deeside Water is unique in world terms and is actively good for health at cell level unlike many waters. We all have a choice about what we consume, with many possibilities along the purity scale. Cracking good fun to be had across the north and north-east this Easter weekend!